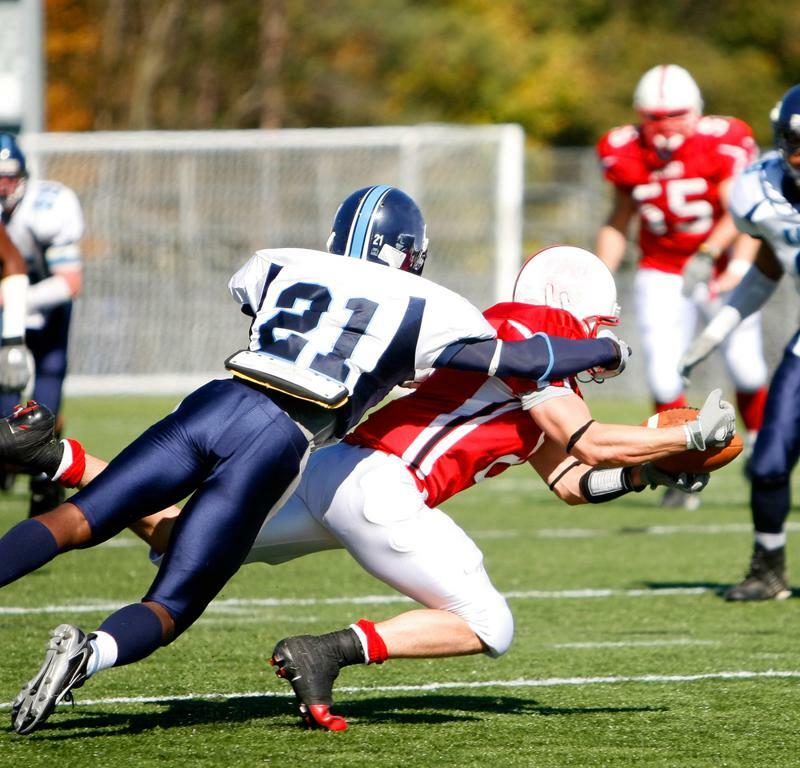 Which 3 youth football injuries should you be looking for? There’s no denying that football is the most popular sport in the U.S., but watching professionals with millions of dollars in equipment and training play the game is much different than when your kid suits up and hits the gridiron. Whether your little Joe Montana is playing quarterback where there’s comparatively little risk of injury or linebacker where high-impact events happen every single play, every parent needs to be aware of the injury risks brought on by playing youth football. According to HealthResearchFunding.org, high school football players experience 2 million significant injuries every year, requiring 500,000 visits to the doctor and, in 30,000 extreme cases, hospitalization. In fact, the source noted that football players are three times more likely to experience “catastrophic” injuries than athletes in other youth sports. While not every play puts your kid’s life on the line, it still pays to know how these three common youth football injuries can affect your children. The subject of serious media attention over the past several years, concussions are Public Enemy No. 1 when it comes to common injuries in football. ESPN reported that Pop Warner, football’s equivalent of Little League baseball, saw its biggest decline in participants in 2013 due to concerns over concussions. While this might seem like fear-mongering to some diehard football fans, the statistics support the worries of millions of parents. According to a study conducted by researchers at the Datalys Center for Sports Injury Research and Prevention and published in JAMA Pediatrics, 1 out of every 30 youth football players from ages 5 to 14 will experience at least one concussion over the course of a season. While even a single concussive event is traumatic enough for your child, overzealous coaches who push him or her to get back in the game or even your kid’s own competitive drive can put him or her at risk for what are known as “second impact events.” If your kid sustains a second concussion soon after a first, the risk of long-term brain damage skyrockets. One reason why professional football players seem to be able to handle hard hits more often is the incredible training facilities they have in place to keep them at peak physical condition and nurse them back to health when necessary. However, another simple fact explains why their bodies are more resilient to injury than youth football players’: Professionals are all grown up. When youth football players sustain blunt force trauma to sensitive areas of their bodies that are still developing, such as the forearms, legs, hands and feet, the risk for stunted growth dramatically increases. Known as growth plate injuries, these involve damage to parts of developing bones that stimulate the production of new bone cells. A big hit to the lower arm or upper leg could prematurely halt bone growth and affect your child for the rest of his or her life. Pushing yourself when you really need a drink doesn’t help things. While thinking about temperatures might seem odd in comparison to discussions about bone injuries and concussions, youth football players are at inordinately high risks of dehydration, heat exhaustion and heat stroke caused by long hours and strenuous exercise outdoors. In fact, the National Institutes of Health explained that, because children’s bodies require higher core temperatures to trigger the sweating reflex, it’s more difficult for them to release built-up heat. While drinking plenty of water can help, there’s always the chance that your kid still experiences symptoms of heat-related illness well after games and practices. In those cases, and for any time you suspect he or she sustained a concussion or growth plate injury, head to your nearest CareWell urgent care center just to be sure.